Sparkly, glistening stones and metals have been adorning earlobes for as long as five centuries back. At first, an ear piercing would help determine the religion, politics or tribe of the wearer. Metals and gemstones were experimented with and finally opened the opportunity for women to wear them. Did you know that only men were accepted to wear earrings in the beginning?! The evolution of fashion and trends led to the development of more exaggerated styles of jewelry, hats and hair around a woman’s face. As time progressed, earrings also gave insight on the background of the wearer, and if they were royal, or even a pirate! You could tell you were talking to a pirate from the precious metals and stones that they would plunder. The style, color and material that earrings are made out of could help distinguish the social class and personality of the wearer. When necklines, hairstyles and hats progressed, so did the elongating earring styles! Starting in the 1600s, jewelry styles could get pretty expensive, and were a great way to brag to your friends that you owned the best jewels. We love that many styles were inspired by ruling ladies of the time, which is another reason we were inspired to name styles after queens! What earring style is your favorite? Throughout the years, earrings have used post back closure, clip-ons, lever-backs, magnets and screw-backs. What earring style is your favorite? 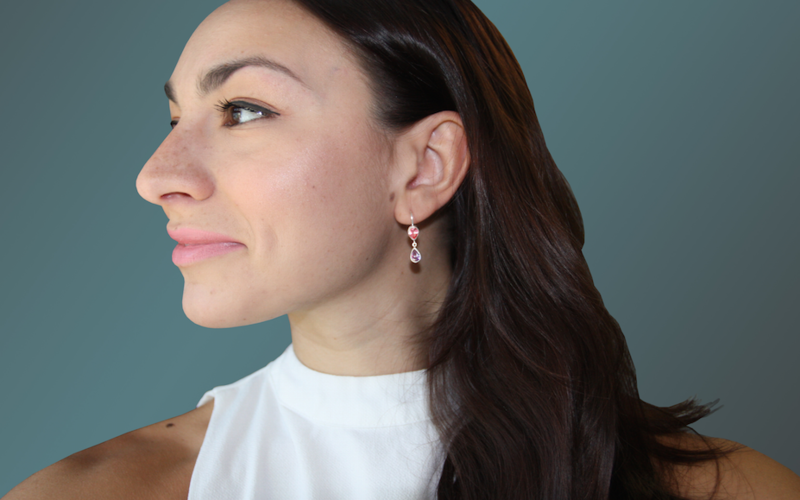 Whether you have a love for larger stones (the Signature Earring) or an elegant, simple combination of stones (try Queen Emma) there is something for everyone. Or, perhaps, balance and symmetry are important when looking for a jewelry style, the Queen Isabella would be perfect for you.